The bridal portrait is a time-honored tradition that has regained popularity in recent years. If you are considering having a bridal portrait taken, read this fact sheet to learn the do's and don'ts. A bridal portrait is a formal picture of the bride in her wedding dress, taken a few days or weeks before the wedding in the photographer's studio. Sometimes, a couple will choose to have a picture taken of the both of them in addition to, or instead of, a bridal portrait. A bridal portrait can come in hand when it comes to including a photo of the bride in wedding announcements and wedding albums. If you are a bride who is not particularly photogenic or who is picky about how she looks in pictures, this is an opportunity to have a professional wedding photographer capture your beauty and get your best angle— without an impatient groom or family member rushing you. Years later, when your groom has your portrait on his desk, you will be glad you got the perfect picture to celebrate your look and dress for your big day. When Is the Best Time to Get a Bridal Portrait Done? The best time to get your bridal portrait done depends on your wedding announcements, wedding dress arrangements and salon appointments. 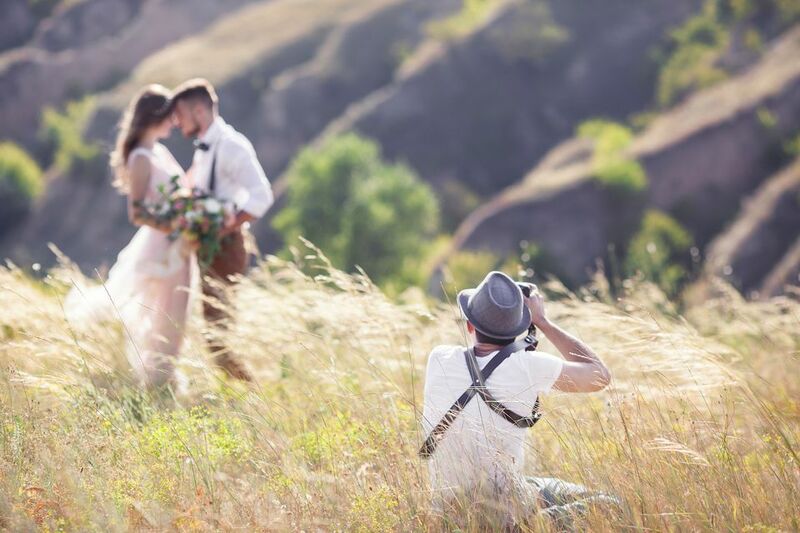 The first step recommended is to ask your local newspaper how far in advance photographs for wedding announcements are needed for submission if you are so indulged. The second step is to call your wedding dress salon to ensure that they will have your dress and accessories ready in time. Finally, it is recommended to get your hair and makeup professionally done before the session. You can try to maximize your budget by combining the hair and makeup session with your hair trial, but only if you are confident in your hair stylist. With that said, if you are using a new stylist for the wedding, schedule a separate hair trial and kindly ask her to recreate your favorite look for the wedding portraits. This will help ensure that you enjoy the look for your bridal portrait that will match the actual look on your wedding day. One key tip we have is to talk directly to your wedding photographer about getting your bridal portrait taken before the wedding, including the price. In doing so, you may be able to get a bridal portrait included in your overall package for wedding pictures. If you are able to get the bridal portrait included, ensure that the service is written into your wedding photography contract. As a final tip, do not waste money on getting a separate floral bouquet. You certainly do not need a bouquet for the pictures, and luckily, most photographers have a silk flower prop bouquet that you can use.